Coachella. Not only a music and arts festival which brings over 150 thousand people in the sunny and dusty desert of Indio California, but also now a fashion festival. Over the las few years, Coachella quickly became the #1 most fashionable festivals where fashion statements are made by celebrities, bloggers and your average fashionistas. Today, Coachella is also a destination for young Hollywood, fashion designers and bloggers who gather for brunches, parties and shows hosted by fashion brands. 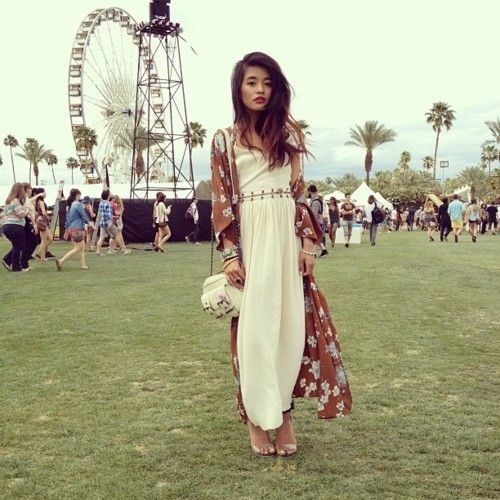 Crop tops, maxi skirts, cut offs, and head pieces pretty much sum up Coachella style. This indie-rock festival however is one for all kinds of style and fashion. Here are some ideas and inspirations. 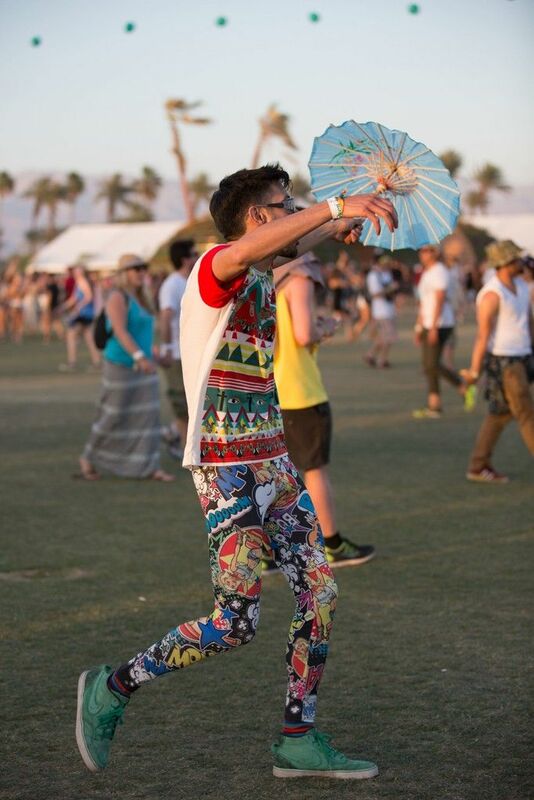 This is the traditional Coachella style. There is no such thing as “too hippie” so go ahead and embrace your inner boho glam. Style tip: Crochet is always a good idea. 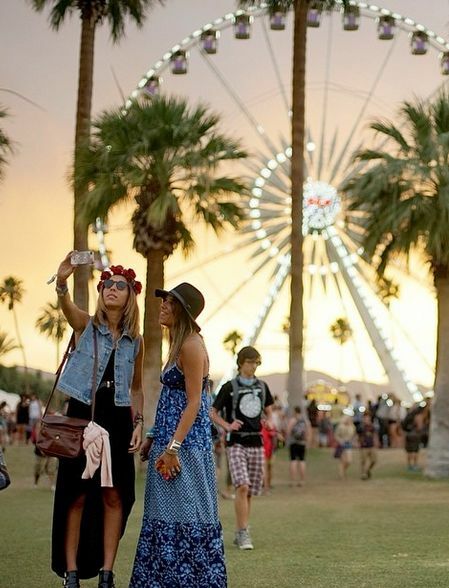 It is both chic and fun, and is perfect for the “Summer during Spring” atmosphere at Coachella. Geometric, floral or tribal, prints are spring’s favorite trend. Headpieces are Coachella’s favorite accessories. 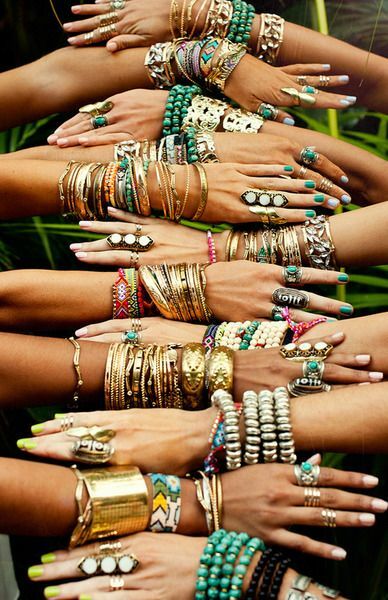 When it comes to Coachella there is not such thing as too much accessories. Stacks of rings, body chains, funky glasses, big hats and flash tattoos …. they are all welcome!